"Ecology is the study of the distribution and abundance of organisms, the interaction between organisms, the interaction between organisms and their environment, and structure and function of ecosystems." See more at: British Ecological Survey website. 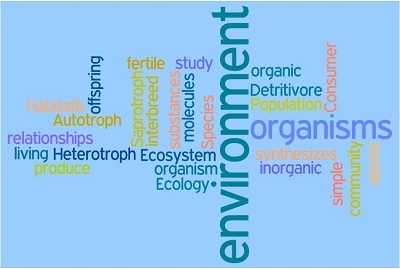 Using key concepts and important ecological terms students work to connect these ecological ideas and to make links between them to enhance their knowledge and understanding.